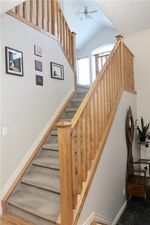 Beautiful FULLY finished Evergreen home features hardwood flooring & vaulted ceilings. Kitchen comes complete with a centred island, raised eating bar, & corner pantry. Open concept main floor offers a living room, dining room with direct access to back deck, 2 pc bathroom, & large laundry/mud room. A gorgeous 3-sided fireplace makes for cozy living on the main level. 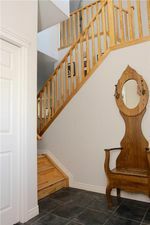 Upstairs you will find 3 large bedrooms, bonus room, & 4 pc bathroom. 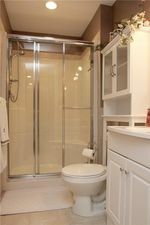 Master features a large walk in closet & 4 pc bathroom with a fabulous soaker tub & glass surround shower. 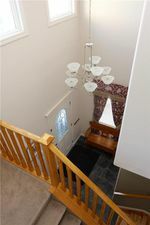 Lower level is complete with a family room that features a 2nd fireplace, 4th bedroom, storage, & 3 pc bathroom. Large WEST facing back yard is the perfect place to entertain! Low maintenance landscaping, gas line for BBQ, spacious 2-tiered deck, dog run, newly planted trees for privacy, & storage shed complete this must see home! 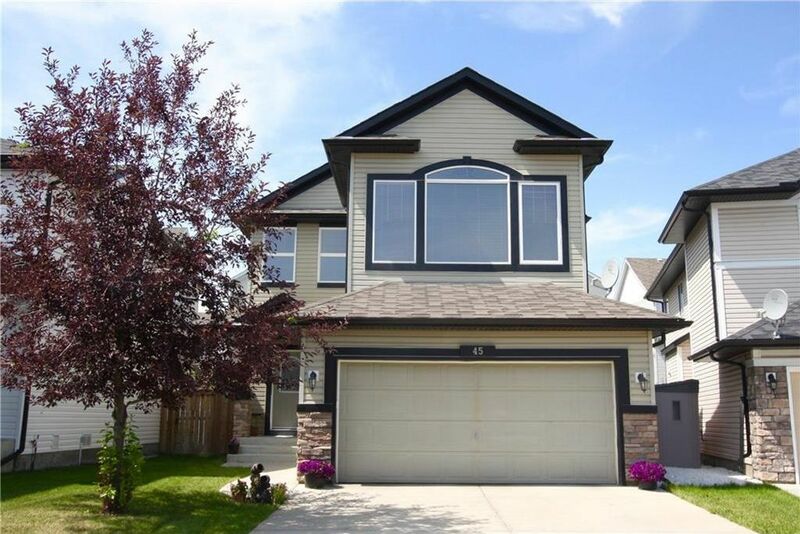 Conveniently located walking distance to schools, playgrounds, Fish Creek Park, & amenities!